In a distant spiral arm of our Milky Way galaxy, some 1,480 light-years from Earth, a star, KIC 8462852, but informally called "Tabby's Star" or "Boyajian's Star" is acting in ways the world's astronomy community has never seen before, defying all known explanations. At random intervals, its light dims by as much as 22 percent, and appears to have gotten dramatically darker over the past century. Tabby's star has provoked so much excitement, with speculation that it hosts a highly advanced civilization capable of building orbiting megastructures to capture the star's energy, that UC Berkeley's Breakthrough Listen project is devoting hours of time on the Green Bank radio telescope to see if they can detect any signals from intelligent extraterrestrials. Breakthrough Listen, which was created last year with $100 million in funding from the Breakthrough Prize Foundation and its founder, internet investor Yuri Milner, won't be the first to search for intelligent life around this star. 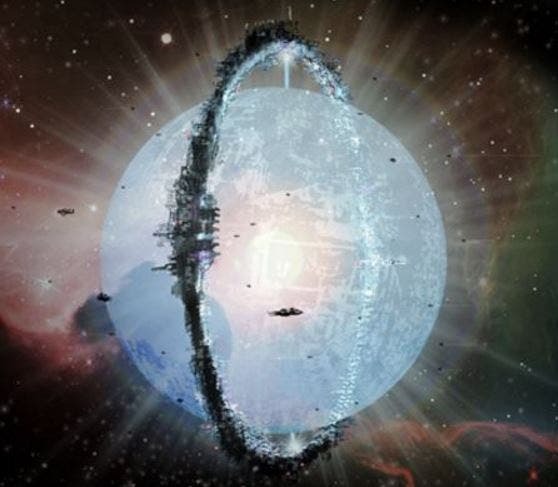 In November, 2016 The Daily Galaxy reported that Penn State and UC Berkeley astronomer Jason Wright has pointed out that these light patterns are similar to what we might expect if aliens built a Dyson Sphere, a megastructure around the star to harvest its energy. But the mystery persists as the search for natural explanations intensify. Since August 2016, Wright has rounded up and analyzed some of the most common explanations from being an artifact of the instruments, to a solar system cloud, a comet swarm, the interstellar medium or Bok globules, to black holes. Read all of Wright's possible causes in at his fascinating blog, AstroWright. Getting Closer? Newest Kepler-2 Findings "Reveal Earthlike Planets Common in Milky Way Galaxy"
Milky-Way-Like Galaxies of the Early Universe –"Were Smaller, Hyper-Star Generating Objects"